I suspect it was seeing all the Valentine hearts in shop windows that provoked this blog. It got me thinking that good picture book stories tend to be written on more than one level. At the heart of the story there will be an emotional truth. This can add inner strength to a story and make it more than just a series of events. It gives a story purpose and a writer will usually know this 'heart' when they first start writing. Julia Donaldson’s *The Snail and the Whale is also subtle about its heart. Without banging us on the head, the story tells us to be happy with who we are and that even if you're small you can do big things (and it’s within your power to save a giant whale). Whilst Lauren Child’s amusing *Maude: The Not-So-Noticeable Shrimpton has the same theme, although this time it’s much more overt and there's no question that you shouldn't be happy with who you are. Why? Because being unobtrusive and quiet can be a talent (stops you being eaten by tigers – bet you didn’t realise that!). Michael Rosen’s gloriously naughty *Little Rabbit Foo Foo is another book in which the theme is clear. Without any saccharine we appreciate that everything has consequences (and don’t ignore people with power!). When the out-of-control rabbit ignores the admonishments of the adult and keeps bopping everyone on the head, he’s finally turned into a real little monster. Eek! Even very young children understand and enjoy this story. So when I write a story I ask myself, ‘What is this story about?’ I look for two answers to my question. For example, on the surface, *Best Friends or Not? is about two little polar bears who don’t want to play the same games. Below the surface, the story is about how friendship sometimes needs compromise. 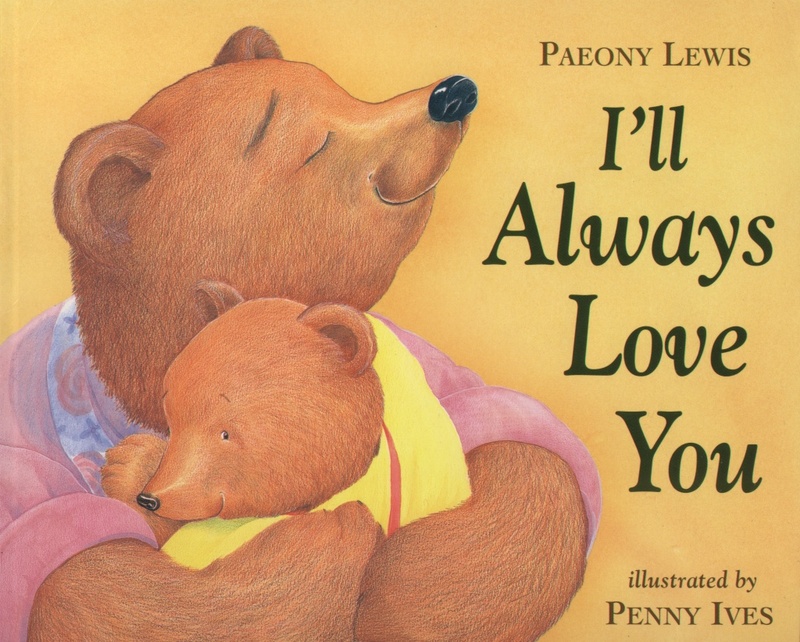 Another example is my *I’ll Always Love You, in which a young bear breaks his mum’s favourite honey bowl and worries that now she won’t love him. At its heart the story is about the unconditional love of a parent, although everything has consequences. Sometimes I think that the heart of these two stories is too obvious (I do write subtle stories too!). And yes, to an adult they might seem that way. That’s where it gets tricky. How deeply do we want a child to think about a story? How much is realistic? A child of three or four has little experience of the world. Therefore perhaps not all books need to be so subtle that they’ll only be understood once they’re discussed. Plus some children are further along in their development than others, and some rarely see books. Also, do most tired parents have philosophical discussions about picture books? 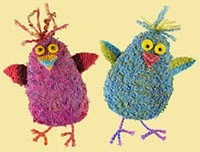 Don't the majority simply read the stories aloud and make the most of that gentle time together at the end of the day? Thus should all picture books be clearly accessible to all children? No, I'm not saying that. 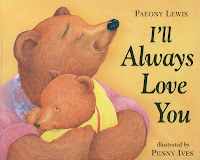 Picture books for older children, that make everyone think, are appreciated by teachers, emotionally mature children, and those parents who don’t focus purely on the number of words in a book. 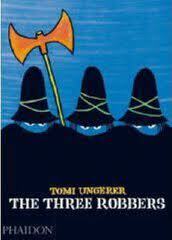 Recently republished, *The Three Robbers by Tomi Ungerer is not a cuddly bedtime book. It’s stylish, vicious and disturbing and includes pepper spray and a gun. At the same time we see that perhaps good can come out of evil, that we’re all redeemable, and that people can be more valuable than glittering treasure. The illustrations also hint at hidden themes and it’s a book that could be discussed at length in a primary school. I must admit I can’t make up my mind about this book. 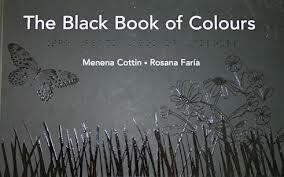 A less controversial book that’s aimed at older children is *The Black Book of Colours by Menena Cottin. Yet again, here’s a book that fundamentally is about being happy with who you are. Thomas is blind and through poetic description, braille, and all-black embossed pictures, we discover there are other wondrous ways to see the world. I think it’s a shame the braille isn’t raised enough for non-sighted readers, but it’s still beautiful and a great book for discussion. So whether you want to read or write an accessible book for young children, or a thought-provoking book for older readers, at its heart there must be an underlying purpose. Something to give strength to the story. Mind you, sometimes authors (and illustrators) don’t see all the themes and inner meanings in their own books. I’ll admit that when I wrote I’ll Always Love You, I never saw the parallels with Christianity and never anticipated its popularity with churches. Even the author doesn’t always see everything! Thanks to Marc Falardeau for the heart photograph. Very interesting - and The Black Book of Colours sounds very intriguing. Lovely post, Paeony, and I too would be interested to see The Black Book of Colours. And The Three Robbers, too! I'll admit I still buy the more sophisticated picture books, even though my children have grown up. Sometimes I think it's a bit of a quandary - who are the picture books written for?! Excellent post, Paeony, very thought-provoking, and it was interesting to see which books you chose to illustrate your point. Many thanks! Great analysis and good examples, Paeony. Just lost my comment so I'll try a shorter one. The idea of putting heart into a story is fundamental and Natascha Biebow covered it brilliantly in a guest blog post here a couple of months ago. I was really struggling with a story I was writing and used Natascha's post and I've managed to turn the manuscript around. Thanks -and I'm looking forward to reading The Black Book of Colours and The Three Robbers. I've just looked back in the Guest Blogger section to take a look at Natascha's blog: 'What Motivates Your Characters' (dated 21 Oct - if any haven't read her great blog). Yes, it's all interlinked and I suspect others will blog on this subject too as it's all part of storytelling and there are different approaches and different ways of looking at it. I'm pleased your manuscript was reborn. Many thanks, Lynne and Chitra :-) I considered quite a few books before deciding on those ones. I'll admit I couldn't quite figure out the 'heart of the story' in a few books! Great post. I have to agree with you about authors not always being aware what is at the heart of their story. I've had a couple of lovely reviews on books and those reviewing have highlighted something I didn't even realise was 'hidden' in the text. Thanks, Lynne. Ha ha, our subconscious is a sneaky thing! I'm also one of those who doesn't always see the theme of my books until they're done. And sometimes, not even then! Lovely post, Paeony. Fascinating how the effect of a picture book quickly leaves the creator's control, and we don't really know where our story will go, who it will meet and what they will take from it. We can only give it our best and wish it good luck! So true, Moira, and lately I've been writing poetry and it's even more true for that. At first I was baffled when others brought their own life experiences and interpretation to 'my' poetry; but as I've been told, it stops being 'my' poetry when it goes out into the world and is read by others. I wrote a story recently where something wants to be something else. The Editor said it was a dangerous game, encouraging children to want to be something else, but firstly; we ALL want to be something else sometimes, it's a human need. Secondly, how else do we 'better ourselves' or even decide on a career doing something great. Thirdly, everything on tv is talent shows and people wanting their five minutes of fame. The point they missed was at the end of the story, it managed to be something else purely by being itself. ( You can tell I get misunderstood a lot haha ) - my point being, it's interesting when I try to come across as one thing, and the reader sees it as completely the opposite.